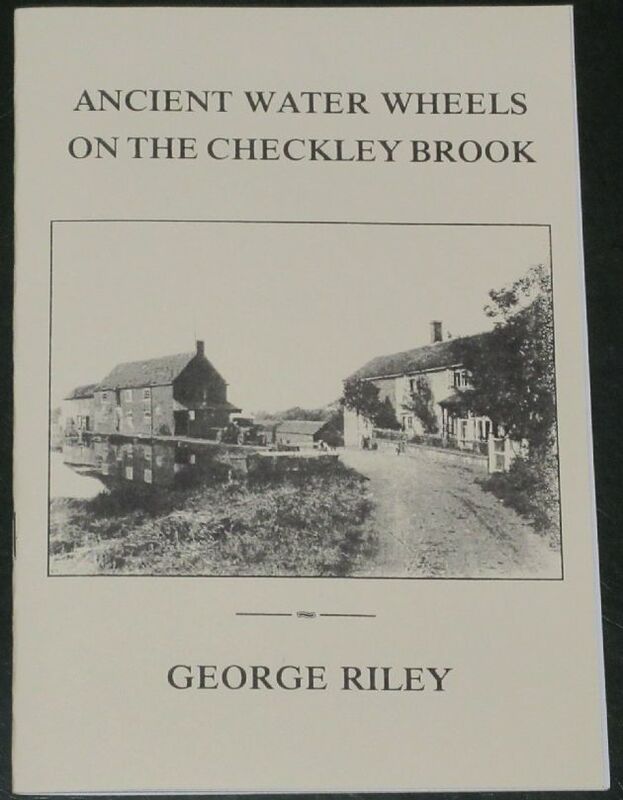 This short booklet provides a fascinating brief account of the water wheels that were once located on the Checkley Brook, a tributary of the River Waver in Cheshire. They include the Madeley Manor Wheel, the Bowsey Wood Corn Mill, Wrinehill Corn Mill, Madeley Upper Mill, Madeley Lower Mill, Wrinehill Hall Mill, Tib Green Forge, Doddington Mill, Lea Forge Mill, Hough Mill and Betley Old Hall Mill. From the introduction: Water wheels were once the major source of power in Britain for a wide range of industries but their importance has declined and most have dis­appeared. Old mill buildings are being altered and demolished, and by the turn of the century, it may be difficult even to locate some of the sites. The aim of this booklet is to record all the known water wheel sites on one local brook and its tributary. From its head at Keele to its confluence with the River Weaver, the Chec­kley Brook travels nearly nineteen miles. Together with its tributary the River Lea, it has spawned activities as diverse as cheesemaking, iron ­forging and corn-milling. The brook gets its name from the tiny Cheshire hamlet of Checkley. The condition of the booklet is generally good. The cover has one or two very minor scuffs but is clean and bright, the staple spine is intact, and all pages are intact, unblemished and tightly bound. There is a small price sticker on the rear side cover.